The 229th release on Deepsessions Recordings sees the return of Sound Travell3r for his second EP. The Greek producer delivered his “Saturn” EP in May of this year and has since appeared on Clinique, BFuzz and also Deepsessions (as a remixer). 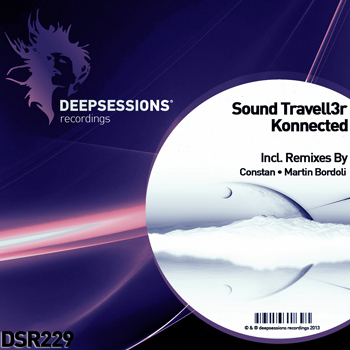 Sound Travell3r’s follow up to “Saturn” is entitled “Konnected” and it comes with remixes from Constan and Martin Bordoli. The Greek producers smooth melodic sound shines bright once again with “Konnected’. The airy, shuffling groove sets a nice tone early on while the escalating atmospheres carry the track to the break. The drop introduces a powerful lead synth which adds a lovely hypnotic energy for the tracks strong second half. The first remix is provided by Constan who is making his first appearance on Deepsessions. The Mexican producer has provided the perfect deep complement to Sound Travell3r’s bigger original. Fat beats, rolling grooves and some shifty atmospheres provide a nice energy and drive the track to a nice finish. 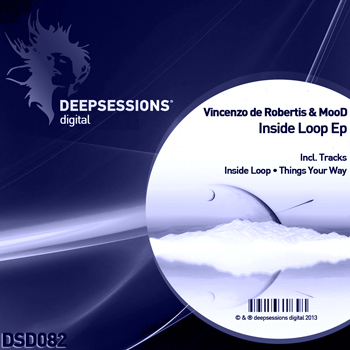 The final remix on the package is provided by Martin Bordoli who is making his first appearance on Deepsessions. The Argentinean producer has crafted a moody interpretation of “Konnected” that really rocks. A big character filled bass line sits at the foundation while a wealth of unique electronics and subtle melodic themes complement it nicely. Great stuff from Marin and a top release from Deepsessions.